Lily is a huge fan of all things that are animal related. 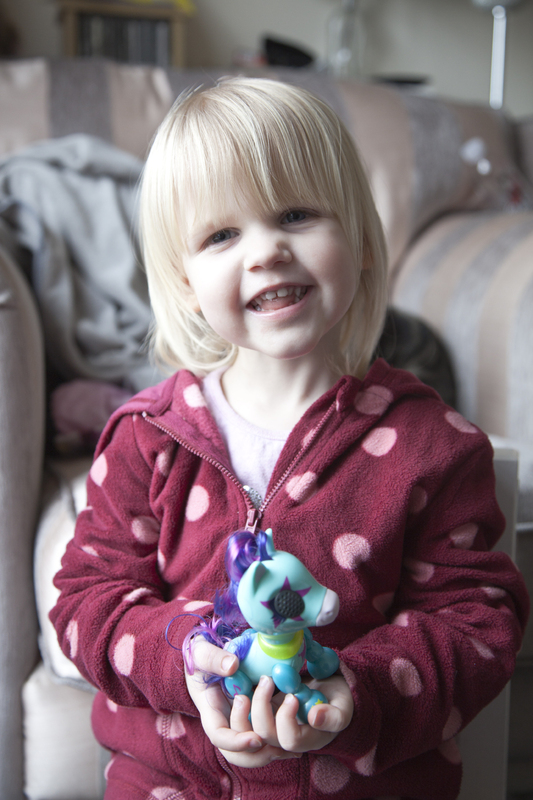 So she was super happy when a Zoomer Zups Pretty Pony from Spin Master turned up at our house. There are 6 Zoomer Zups Pony's out and we got Star. All the pony's are really colourful and also really pretty. Star was no exception and she looked great sat in her box ready to come out and play. She has pink and purple hair, a blue body and a purple star around her eye. She also has some symbols on her body which are a pinky purple colour and some are yellow. She is so cute and Lily was so pleased with her and held her in her hands saying "So Cute!" She is the perfect size for Lily to play with. Lily really enjoyed making her pony move about and walk around, all of the Zoomer Zups legs move so you can change there position and you can make your pony sit down. Already Lily thought this was a great toy but it was about to get better. When you switch on the switch on her belly, Star's eyes light up and she starts to make pony noises. She sounds so cute and the more you interact with her, the more noise she makes. She has a sensor on your head and all you need to do to activate it is stroke it, and your pony will make noises and neigh happily. If you stroke and hold her head, your pony will also neigh out "I Love You". As well as the head sensor, the pony's nose also acts as a button. Press it once and the pony will make cute sounds. Press and hold the nose and the pony will make a kissing sound. The pony also has a secret trick, and you can care for it by pressing its nose to feed it. It also loves to play games and so if we stroke its head and press its nose at the same time we can play a hurdle race game where the pony makes galloping noises. Lily loved it when it made these noises and moved it along like it was racing. 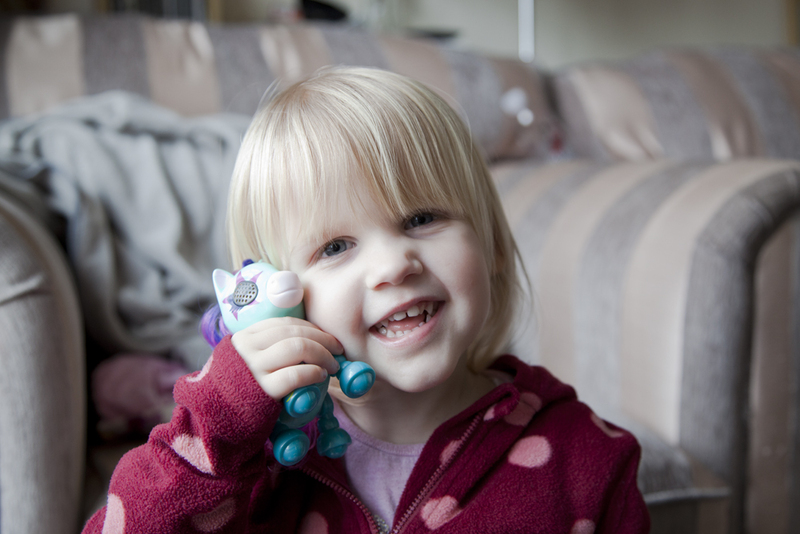 Lily loved all the noises and loved that she could interact with her Zoomer pet. If you don't play with the Zoomer pet for a while, it will go to sleep, to wake it back up you need to simply press its nose. I do like the fact that it goes into sleep mode though. Nothing worse than a noisy toy hidden somewhere making noise as you haven't switched it off. 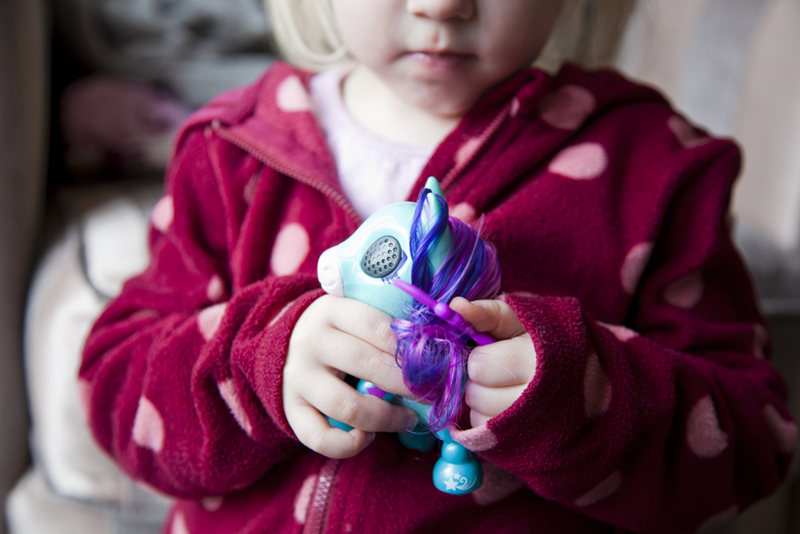 Another thing Lily loved about the Zoomer pony was that it came with real hair and a brush. She loves brushing her toys hair at the moment and so this made her very happy. 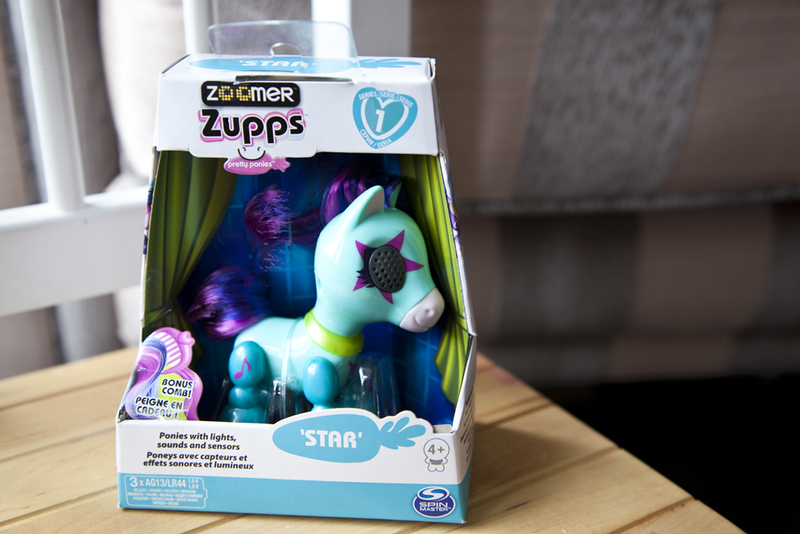 These Zoomer Zups pretty pony's are aimed at children 4+. Lily is only 3 and she loves hers but I think when she is 4 she will understand how to use it a little more. For now she just loves that she can use it for imaginary play, take care of it and that it makes noises. 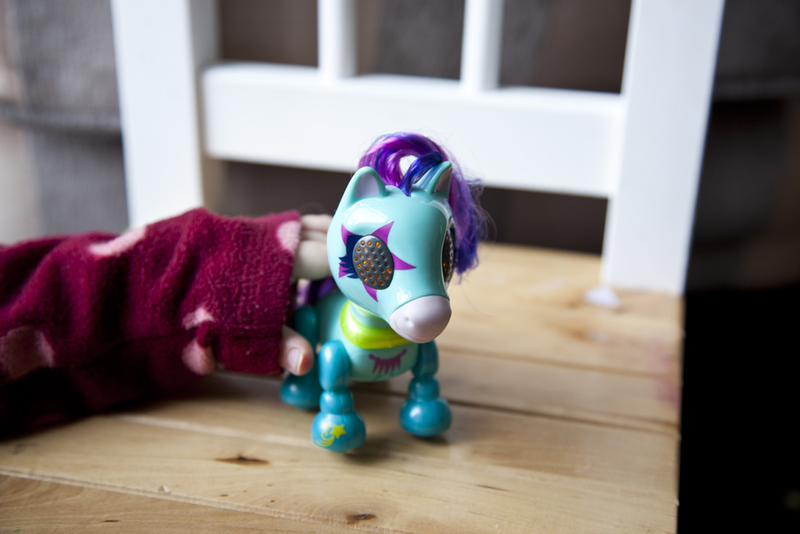 Each Zoomer Zups Pony is £13 to buy and can be bought from the Entertainer store. Would your child like the Zoomer Zups pretty Pony? The children would Love Zoomer Zups pretty pony. I like the interactive and nurturing aspects of Star, as would the children. The children would love Star, as fond of animals. My daughter would love one of these, they are very cute. Toys look great :- Like the look of Zoomer Kitty- Kitty. Good variety of toys on the website.